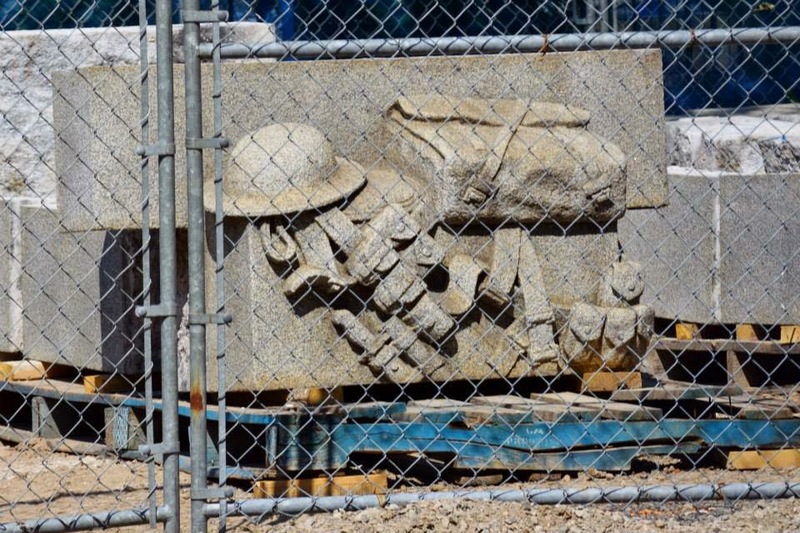 Instead of welcoming people to commemorate this month’s World War I centennial, the cenotaph in Gore Park has been disassembled as part of the Gore Park Revitalization Project. 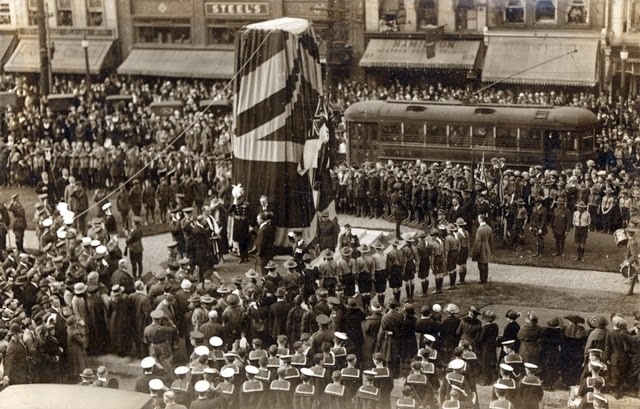 The cenotaph has stood in Gore Park since its construction in 1922 and 1923. Most recently, it’s been in the news for the discovery of a mysterious artifact that is possibly a scroll or a time capsule. The cenotaph was unveiled in May of 1923, and more than 5000 people were in attendance. Among them, was Governor General Lord Byng of Vimy. Image courtesy of Hamilton Public Library's Local History and Archives PreVIEW database.